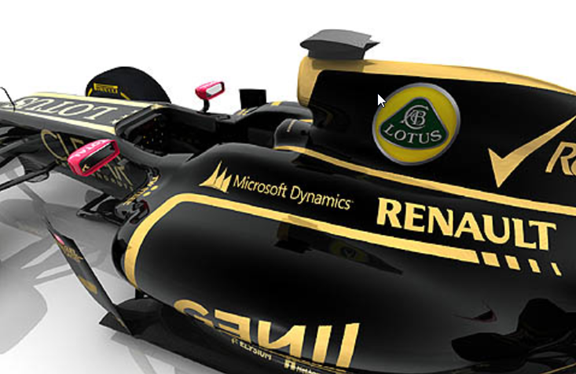 On one of my previous blogs .. Wallace provided a comment that put my attention on the following cool fact: Microsoft Dynamics is sponsoring (or going to) the Lotus Formula 1 team. All except for the pink wing-mirrors I think it's very cool indeed. This is really great! Thanks Waldo for sharing this.